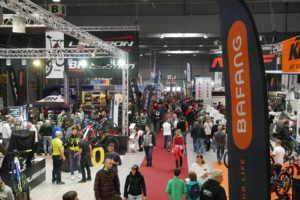 FRIEDRICHSHAFEN, Germany – Just hours before the start of the Demo Day and one day before the opening of the biggest bike show of the year, it is getting more and more clear what the general mood at the 18th Eurobike show will be. At this moment in time nobody believes that the good times of 2008 are to return in 2010. 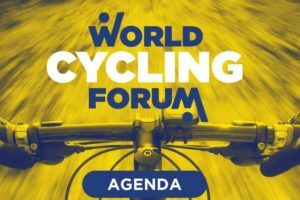 What’s more likely, and indications are there that this will be the general trend at this year’s Eurobike, is that everybody is steering at a flat 2007 sales level. However, this varies per bike category as e-Bikes are still the stars! The 2010 modelyear bikes that are launched in Friedrichshafen this week are expected to meet with dealers that are less willing to order compared to previous years. This all has to do with inventory levels that are still regarded as relatively high. Despite a spring which started a bit late, but showed nice sunny weather from mid April on which was followed by a mid June dip but turned into a beautiful summer from July on in the biggest part of Europe, it didn’t greatly stimulate sales at dealers. This trend is confirmed by Taiwan’s bike export during the first five months of 2009 as well as Shimano’s financial results for the first six months of this year. Taiwan’s bike export (of mainly mid to high-end bikes sold through dealers in Europe) dropped 17.5% in units. All this doesn’t apply for electric bikes. Sale of this bike category was able to score increased numbers despite their high prices and despite the financial crisis. And, no the rise in sales isn’t any longer limited to only bike crazy Holland. 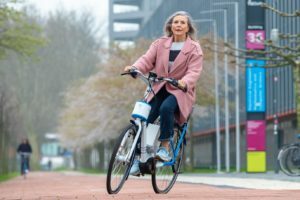 Even in Germany e-Bikes are getting more and more popular now. 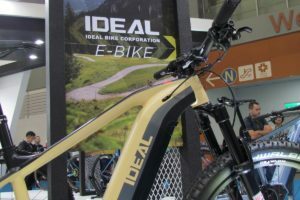 In fact for the first time in its history the biggest European manufacturer of dealer distributed bikes – Accell Group – was able to score big in Germany in the fist half of this year. 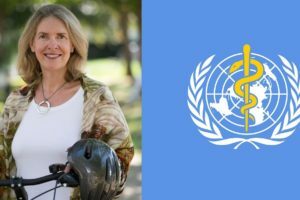 E-Bikes were the main driving force behind that success. 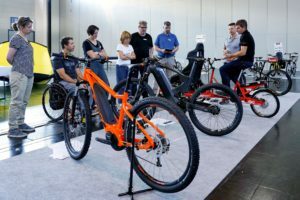 Eurobike will clearly indicate that the e-Bike success is expected to continue in the years to come and is expected to spread over to other many other countries in and outside Europe.